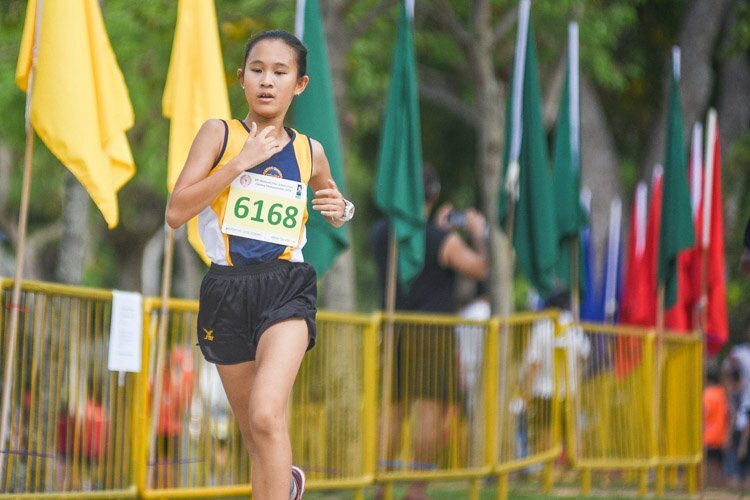 Story by Iman Hashim/Red Sports. 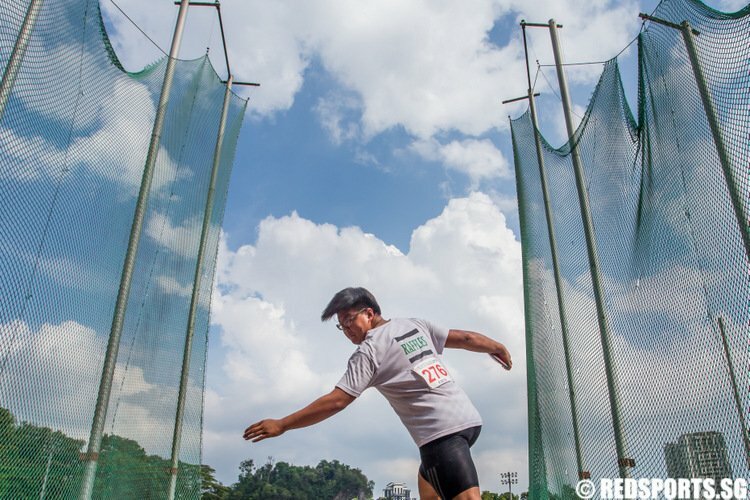 Photos by Chua Kai Yun/Red Sports. 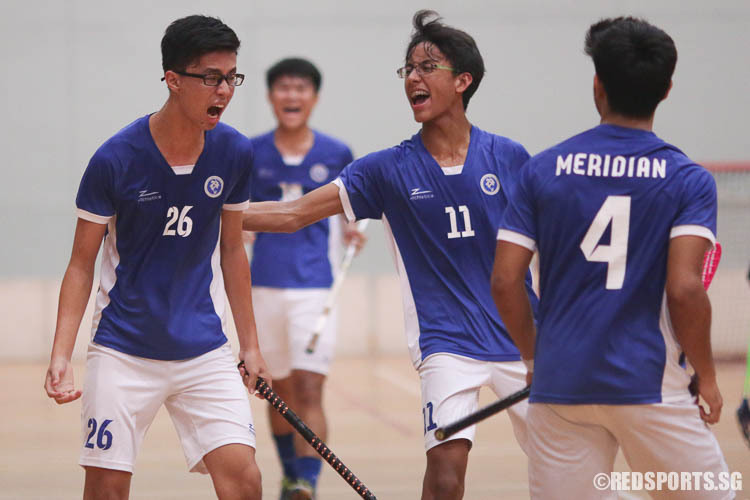 Yishun Sports Hall, Wednesday, May 25, 2016 — Powerhouses Meridian Junior College (MJC) easily dispatched Anglo-Chinese Junior College (ACJC) 8-0 to move on to the National A Division Floorball Championship final. 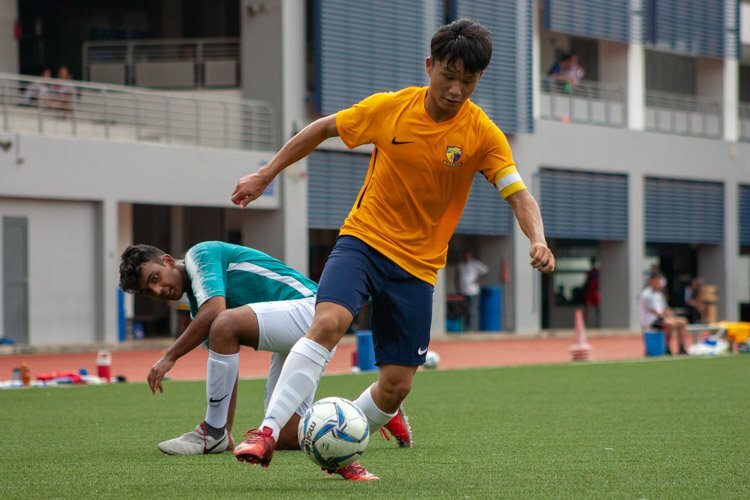 Going into this semi-final, MJC had won all six of their preliminary round fixtures, scoring a whopping 55 goals and conceding just six in the process. 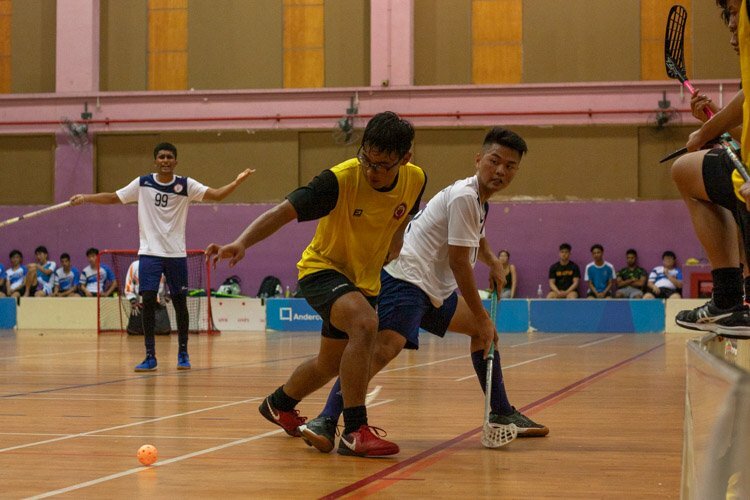 Three minutes into the game, MJC threatened to bulge the net when Janus Lim (MJC #22) shimmied into the D with great stickwork and struck the ball, but it bounced off the upright instead. From a free hit right after, the floodgates opened with Jeremy Chia (MJC #18) scoring after a teammate’s lay off. It was 2-0 three minutes from the end of the period, when Brandon Ong (MJC #26) struck the ball low into the net after receiving a pass from the left. ACJC’s best chance in the opening period came from a free hit two minutes from time. 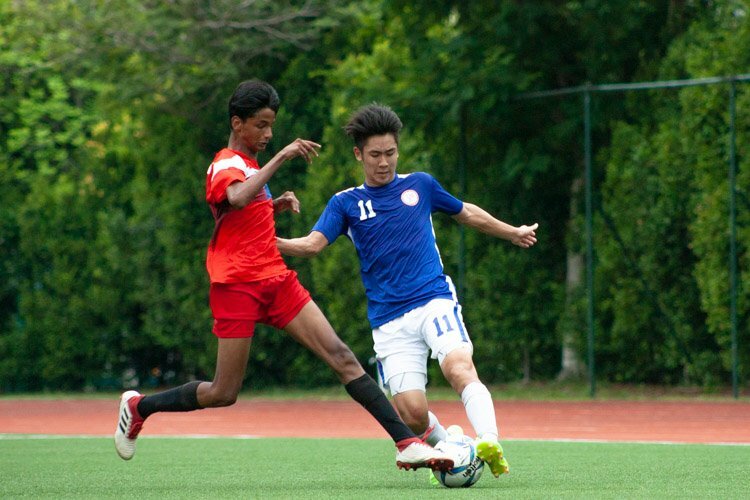 Cheng Wei Qiang (ACJC #10) laid the ball for Nicholas Koh (ACJC #7) to strike it from outside the D, but it got blocked by the MJC wall. Nicholas (ACJC #7) had another opportunity to strike the ball from long range thereafter, but his low hit went wide of the right post. Within three minutes of the second period, MJC made it 3-0 after an ACJC defensive mix-up. 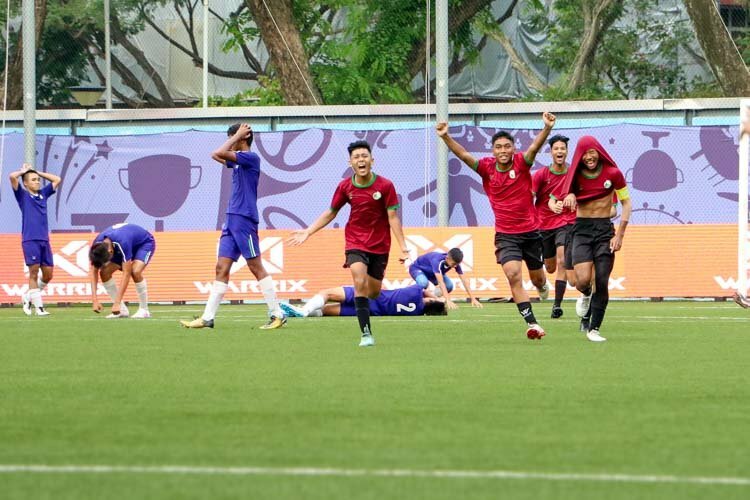 A strike by Abdul Rauf (MJC #11) was saved by goalkeeper Joshua Loh (ACJC #1), but the ball went over him and bounced right in front of goal, leaving Thaddeus Tan (MJC #77) to prod it in. 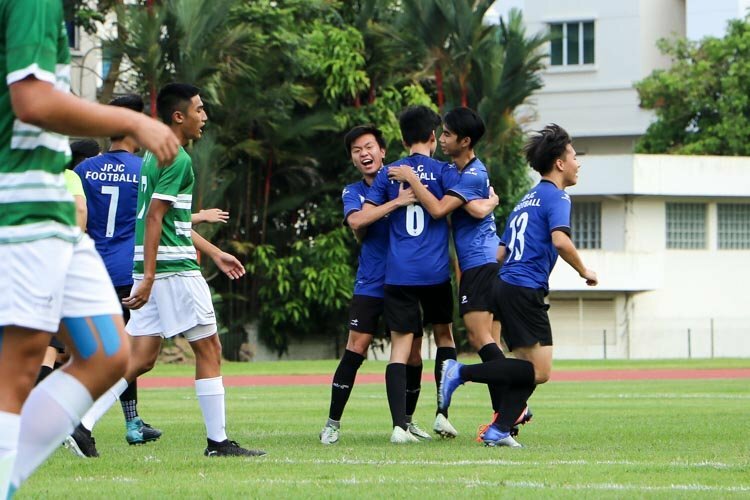 Jayvis Lim (MJC #25) scored MJC’s fourth with a shot into the top corner of the net, and Brandon Ong (MJC #26) made it 5-0 with a drag shot from outside the D on the left. 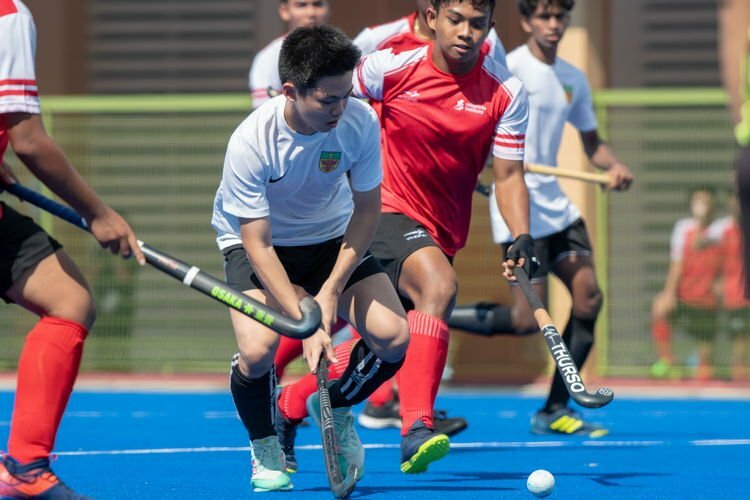 Before the second period ended, it was game over as Thaddeus (MJC #77) swiftly converted after receiving a pass from Shahrul Amsyar (MJC #9), before Jayvis (MJC #25) made it 7-0 after being teed up by Muhammad Jazli (MJC #21) in a fast break. Jazli (MJC #21) himself got into the scoresheet in the third period with a low rapid strike from just inside the D, capping off the 8-0 victory and booking MJC’s spot in the final. 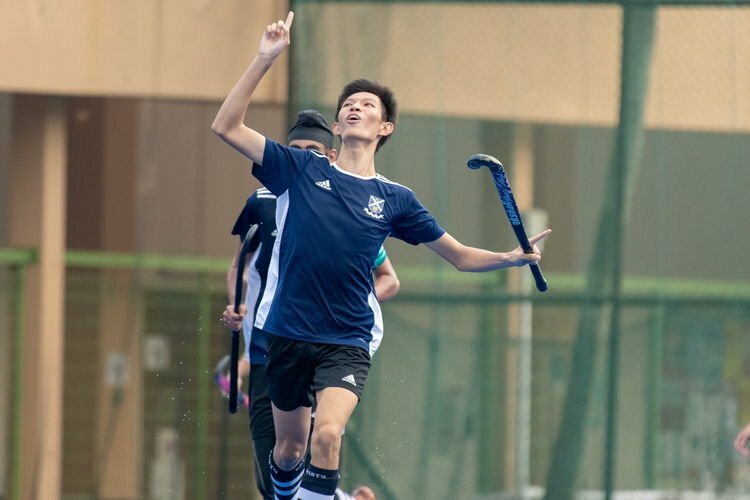 MJC will contest their first final since 2013, after getting knocked out by Raffles Institution (RI) in the semi-finals for the past two years. In 2013, MJC had lost to Victoria Junior College (VJC) in the final after a three-year title-winning streak from 2010 to 2012. 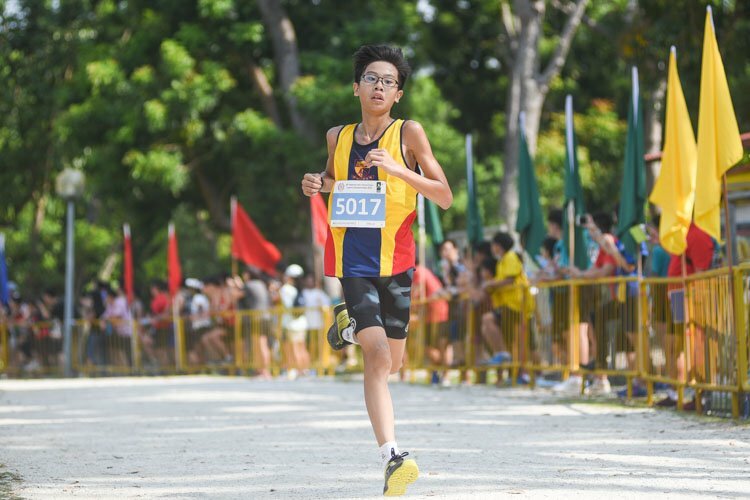 MJC will therefore aim to clinch their first title in four years, and look to exact revenge against two-time defending champions RI in the final. RI edged out VJC 5-3 in the other semi-final. 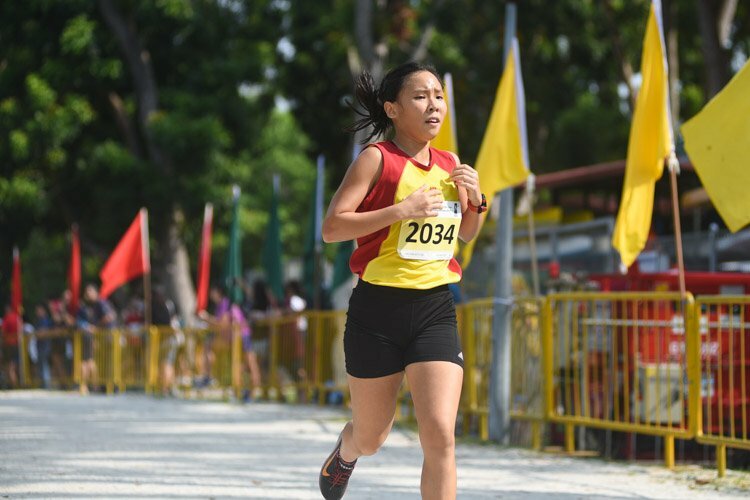 The final between MJC and RI will take place at 3pm on Friday, May 27, at Delta Sports Hall.